There were 508 new cases of HIV diagnosed in Ireland in 2016 – a 43.9% increase since 2006. A NEW SELF-TEST HIV kit is going on sale in pharmacies around the country today. The test, which can detect HIV antibodies in 15 minutes, is available over-the-counter to people over the age of 18. HIV diagnoses in Ireland have increased significantly in the last decade. The Health Protection Surveillance Centre (HSPC) reports that there were 508 new cases in 2016 – a 43.9% increase since 2006. The infection predominantly afflicts men, with 48% of new diagnoses reflecting those aged 20-34 years old and 41% in the age range 35-49 years. 8,341 people have been diagnosed with HIV in Ireland since the early 1980s. Today, HIV is a treatable infection and the sooner someone living with HIV accesses treatment, the sooner the medication will reduce their viral load to undetectable. “Ireland becomes our fourth market to launch in, following already successful launches in France, Italy and Spain. Users are advised to wait three months from the point of potential exposure to HIV and testing. This window period is the time it takes for the body to produce antibodies that signal the presence of HIV. Those people living with HIV, but who are not aware of their status, could be unknowingly transmitting it to others. To use the kit, the user takes a pinprick sample of their blood with the device. It then looks for the presence of HIV antibodies in the blood and results are provided within 15 minutes. 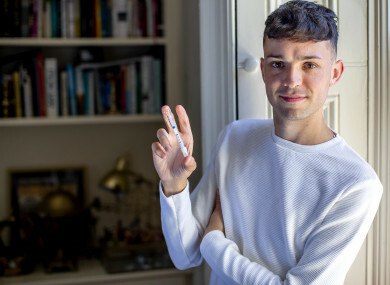 Email “New self-test HIV kit goes on sale in pharmacies around the country today”. Feedback on “New self-test HIV kit goes on sale in pharmacies around the country today”.